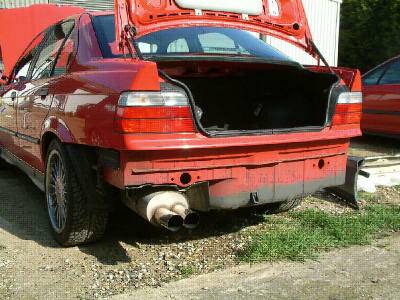 The very standard and very basic E36 as it arrived with us. Black bumpers look awful. First task was to remove them and liberate the impact protection bars within. 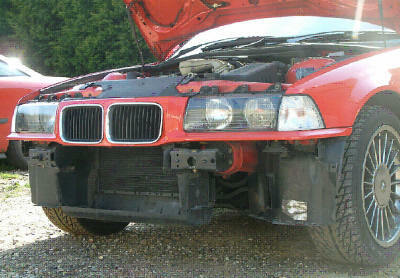 The rear crash protection bar is removed from the old bumper and refitted to the car. 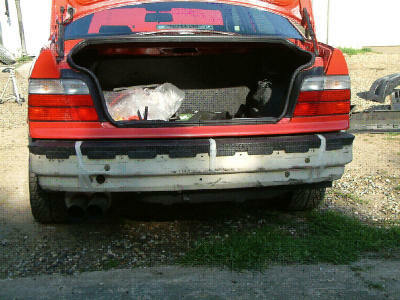 The polystyrene top is very delicate, and also very necessary - it lifts the bumper up to give a tight gap. Tape the polystyrene spacer into place. 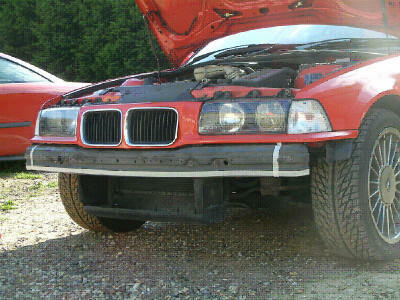 At the front some cutting is necessary since the vents of the new bumper catch on the strengthening. Cut the ends and lower section off as marked with tape in the photo above. 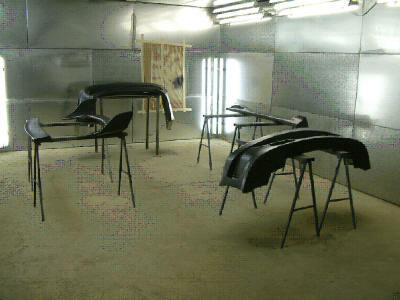 The bumpers are sanded as normal and then painted with primer. This car is also having some colour coding work done to it to freshen it up a little. Some scratches are also being dealt with at the same time.